Like D.B. 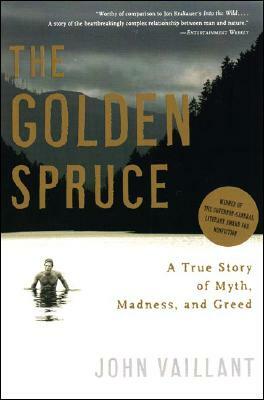 Cooper, poet-logger Wobblies, potlatches, and the geoduck, The Golden Spruce is the kind of story Cascadia produces best: mystical, misty, mystifying, and just a little bit larger than life. A great read, engaging without pandering or condesencion, this story is part whodunit, part song-of-place, and part sorrowful cautionary parable. A must for all readers who love the rainy old Northwest; land, sea, forest and (sometimes) cranky, contrarian inhabitants.